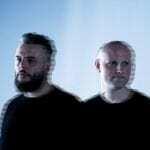 Background/Info: Swedish duo Mikael Larsson – Anders Wilhelm have been active for a couple of years and don’t hide their devotion to Kraftwerk. “Pop” is their debut album, which was originally released on Plonk. The album has been re-released in 2017 (!) on Razgrom Music featuring an extra track. Notice by the way that just as other Plonk bands (cf. Maschine Brennt and Unisonlab) this work is also driven by the Kraftwerk inspiration. Content: From the very first note you immediately recognize the Kraftwerk touch, which is clearly everywhere. The songs and influences avoid any kind of innovation, but the songs have been meticulously crafted. This work will bring you back to the golden years of Kraftwerk, but I for sure also can mention contemporary bands –and especially Metroland. Driven by dry bass lines and great melody lines plus robotic –mainly spoken, vocals this album has something magic. + + + : The vintage sound approach remains something apart from the other electro-pop bands. The link with Kraftwerk emerges on every song, but the composition however reflects a real maturity and artistic approach. I like the space-like sweeps and analogue effects while songs such as “Europa – Stern” and “Rhythmus” are driven by impressive bass lines. One of the best cuts probably also is the most personal one (cf. “Berlin“). – – – : This album was originally released in 2016 and re-released in 2017 so it already is an ‘old’ item, but there are great releases I simply have to support –even a long time after their original release date. It speaks for itself that Datapop doesn’t bring anything new, but who cares when the sound is greatly produced. 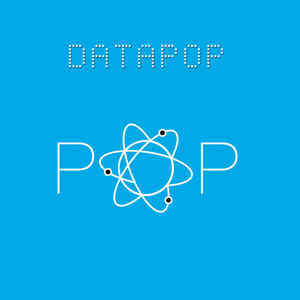 Conclusion: Datapop is one of the contemporary Kraftwerk disciples with a real huge potential. 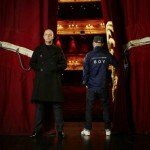 I’m really looking forward to hear more music from Datapop! Best songs: “Berlin”, “Human Music”, “Europa – Stern”, “Rhythmus”, “Electronic Music”.